After a day of ice skating, I found this enchanting scene nestled in the woods of Schwarzsee. 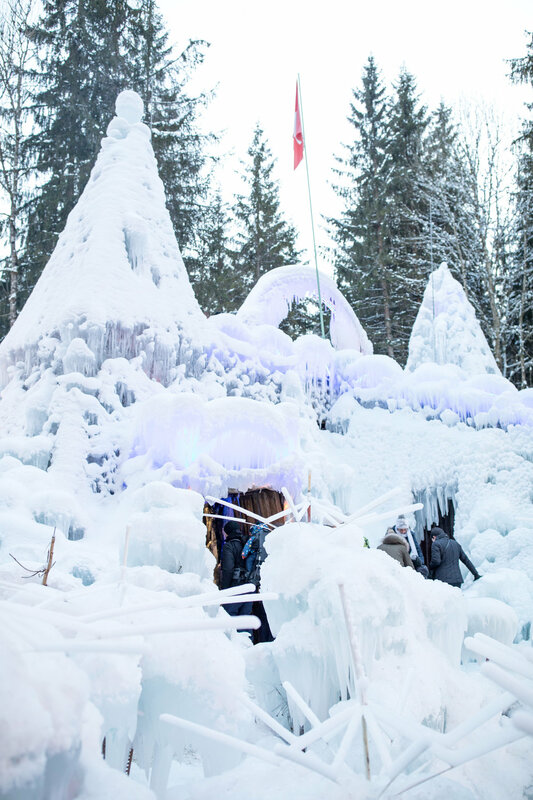 Each winter, the sculptor Karl Neuman brings this world of ice to life — complete with igloos, ice grottos, and a towering ice palace. Before the sun sets, you can admire the expert craftsmanship up close. 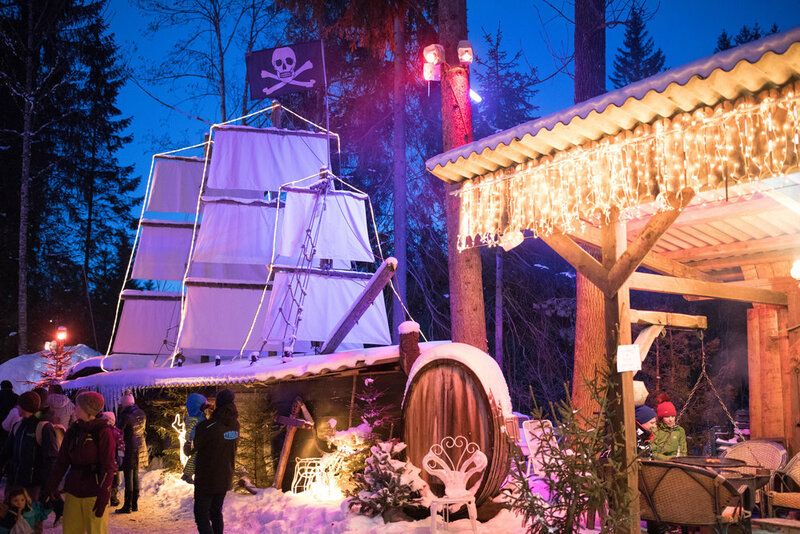 If you walk past the igloos, you will see some special scenes on display. 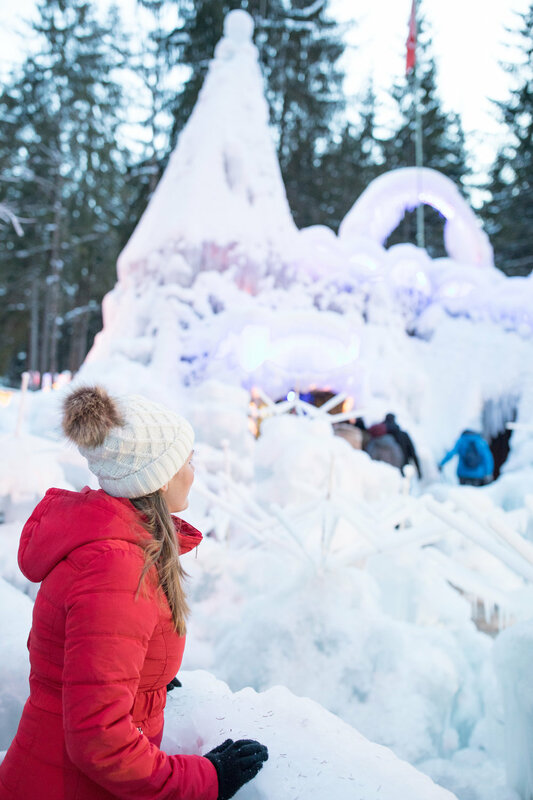 Perhaps the best part of about the ice palace at Schwarzsee is that you can climb on it, sit on it — and maybe even slide on it! 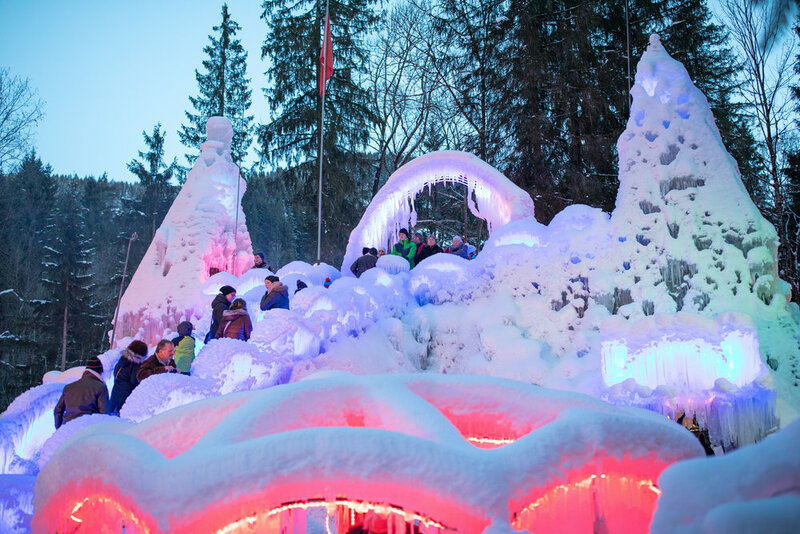 For me, the ice palace at Schwarzsee is one giant playground. I enjoy exploring every inch of the palace grounds. With just a few minutes until dusk, a few colored lights flicker on and accent the towers of the ice palace. At night, the ice palace really comes to life. 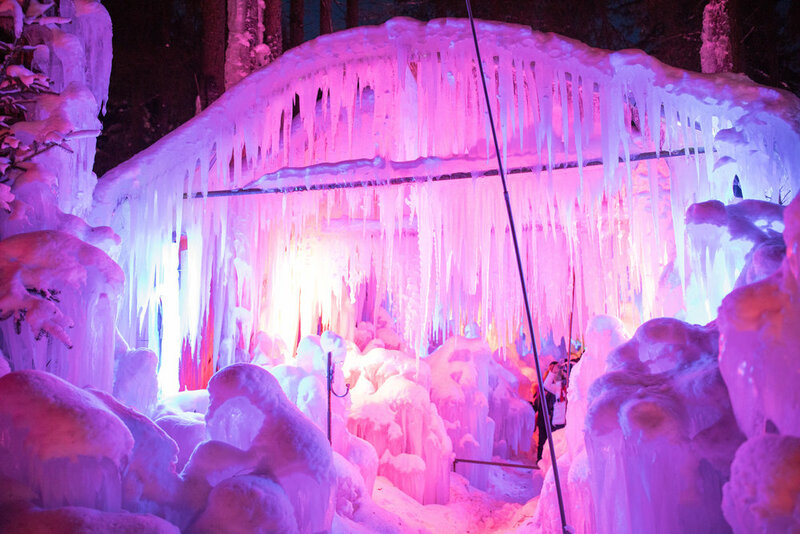 Visitors can step inside colorfully-lit ice caves and grottos, but they must take care not to break any icicles off. The temperature drops significantly after sundown, so it's a good idea to bring extra layers of clothing. 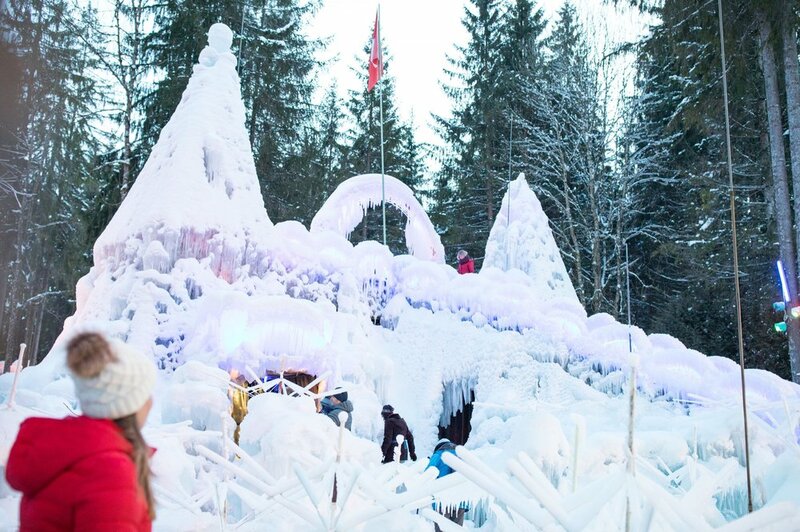 One of the main attractions is this ice grotto, covered in icicles. There is a path to walk inside and take pictures. On the other side, a waddle of penguin statues will greet you. For a birds-eye view, climb the stairs to the top of the ice palace. It's best to ascend slowly, since the only handrails are made of ice. 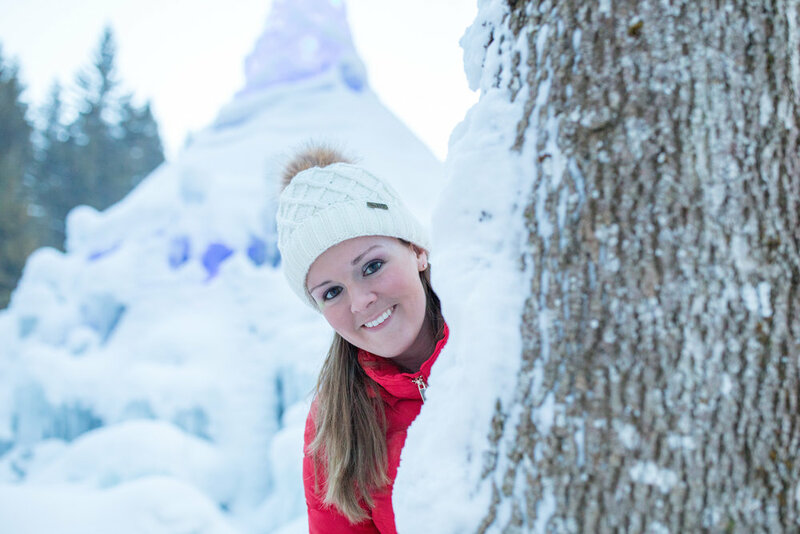 The ice palace is a seasonal activity and only open from December through mid-March. If traveling by bus, take the TPF from Fribourg or Düdingen to the stop "Lichtena." The ice palace is 5 minute walk from here. If traveling by car, follow the road Plaffeien-Schwarzsee, and you will find the ice palace between Zollhaus and Schwarzsee. You will find the car park after the ice palace on the left side of the road.